Royal Agio’s Balmoral Añejo XO Lancero is back, but only on a limited basis. Officially called the Lancero FT Edición Limitada, the cigar made its first appearance in 2016 when Royal Agio released it at the IPCPR trade show. Based on positive consumer response, Royal Agio is making it again, but production is limited to 500 boxes of 10, or 5,000 cigars. The lancero measures 7 inches by 40 ring gauge and consists of a Brazilian Arapiraca wrapper, Dominican Olor binder and a filler combination of Nicaraguan, Dominican and Brazilian Mata Norte tobacco. It’s set to retail for $12.95 each and, according to Royal Agio, will only ship to U.S. retailers with “priority given to existing Balmoral retailers.” Shipping starts this month. 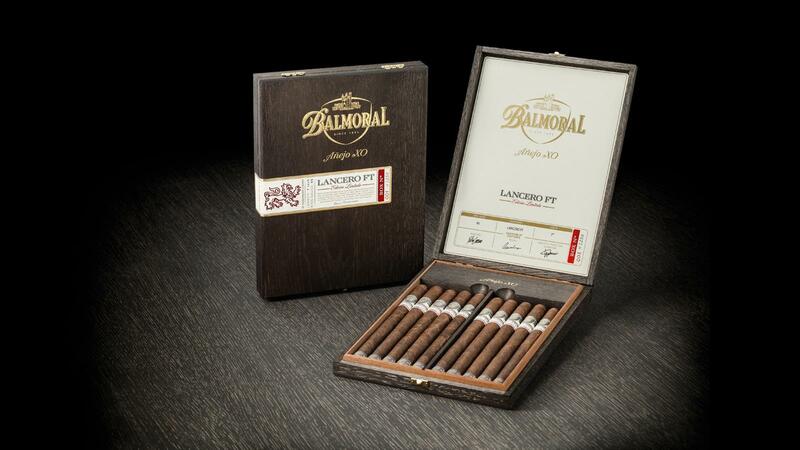 Like the rest of the regular-production Balmoral Añejo XO line, the Lancero is made at the Royal Agio Cigar Factory in San Pedro de Macorís, in the Dominican Republic. Royal Agio is a family-run company based in Holland. It manufactures and distributes both handmade and machine-made cigars throughout the world.